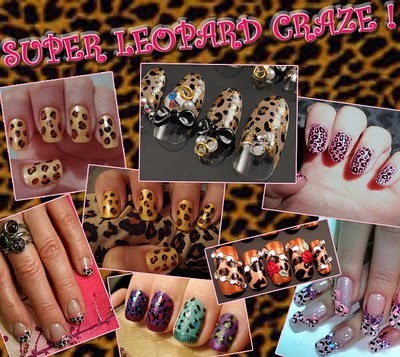 The Chic Leopard: Show me your CLAWS ! Show me your CLAWS ! 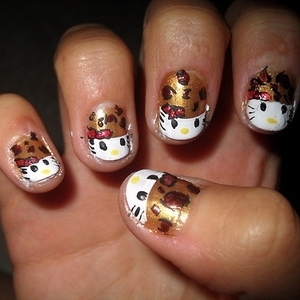 For some strange reason, I have really been into nail art lately. 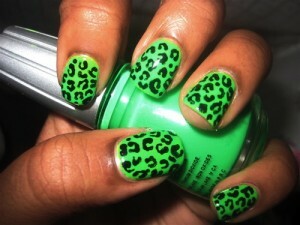 It's a shame too because I'm not allowed to wear nail polish at work (my day job that pays the bills). That doesn't stop me from getting my toes done though. My toes aren't visible at my job so I go crazy with them. 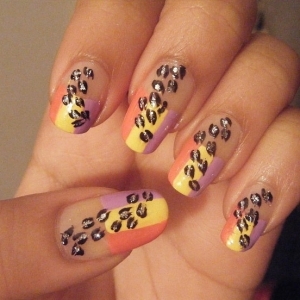 I think that nails are a great way to express yourself and show some personality. I could get my nails done for my days off but I would just have to remove the polish way too soon and that means a lot of wasted money at the nail shop. 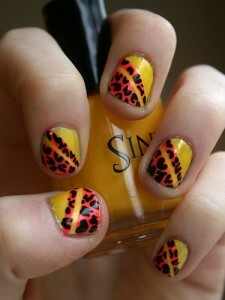 So I'm quickly becoming a fan of do-it-yourself nails. These photos gave me a bit on inspiration. 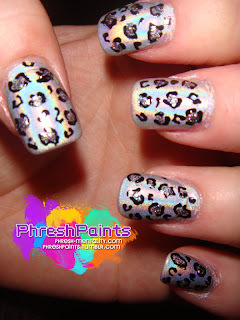 I also have posted a few videos of how to create a leopard print nail design. Enjoy ! Definitely check out this site. I'm soooo loving it ! 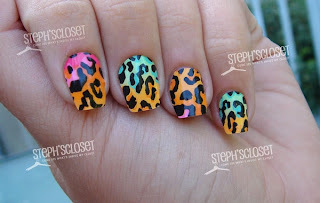 The blogger tells what nail polish (brand and name of color) she uses to create the look. 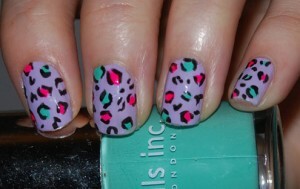 I will definitely be referring to this site as I embark on my journey of do-it-yourself nails. If you like her site, please become a follower ! Follow mine as well, since I'm the one who told you about it. Ha! The next design is so fresh and innovative. I like it because its more sophisticate,d in my opinion. 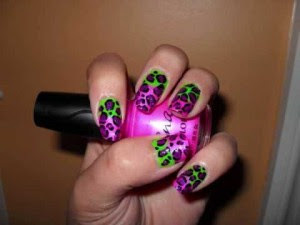 The pastels work great for this design. 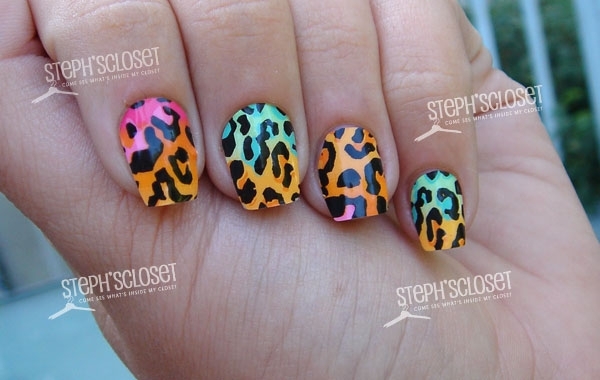 This design will turn heads but won't blind you with too many bright colors. You know some days, you don't want to be too bright. 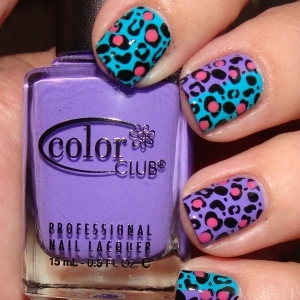 There's a time for everything !I would feel really girly (which I love) if I were to wear this design. 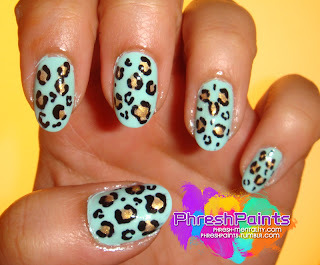 I found the pic here: http://www.makeupandbeautycare.com/view-all/leopard-print-nail-art-designs.html. Following this pic are a few others on the site that I liked as well. The stickers can be found at Hot Topic for only $5 ! How cool is that. On the site, I read that the stickers last about three days. This is perfect for me because I am usually off 2-3 days at a time. Yes ! 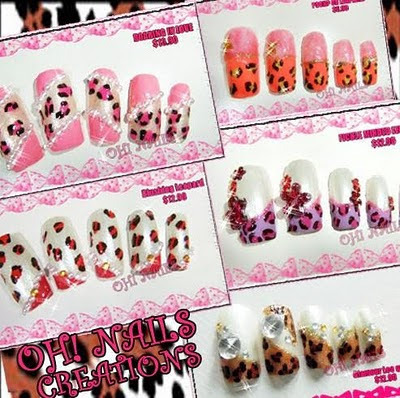 I will definitely be looking in nail art stickers from here on out ! They were created with lazy people like me in mind ! Thank God ! LOL! 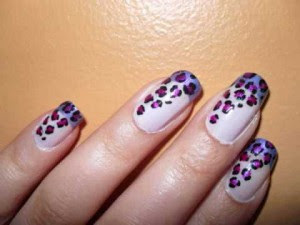 She gives me PLENTY of ideas for my nails....and not just leopard print. Please please please visit here site and follow the blog ! People should be praised for their talents ! 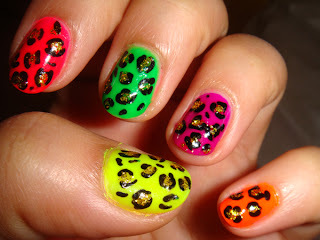 Here are a few pics I found on the blog ! I tried the first design ! My nail tech is the best ! It is lovely. I'm eager to try the others ! 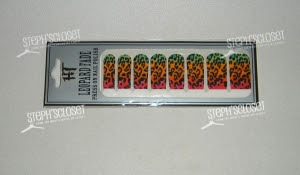 Request Dance Crew - Leopard Print ! OMG ! No Nicki ! Or is it a yes?